WELCOME HOME TO PELICAN ISLAND! Custom home, tastefully updated, lovingly maintained, move in ready and PRICED TO SELL! This 3 bedroom, 3.5 bath, 3006 sf, 2 car garage home has a tried and true traditional layout that is both spacious and sensible. At the grand two-story entry are the formal dining and living room/den/office with gorgeous french pocket doors. The eat-in kitchen is loaded with counter and cabinet space that is perfect for entertaining! Speaking of parties, the family room is ready for year-round fun with its built in wet bar, wood-burning fireplace and sliders leading to the enormous (60â x 20â) screened patio. Off the kitchen is a sunny laundry room with laundry chute and full bathroom. There is an additional half bath downstairs too! Upstairs is a master suite with ample closet space, wood burning fireplace, and renovated bath with separate tub and shower, two vanities and granite counters. The entire interior is freshly painted and new carpet dons all three bedrooms. A walk-in air-conditioned attic space makes storing your seasonal decor and keepsakes a breeze! 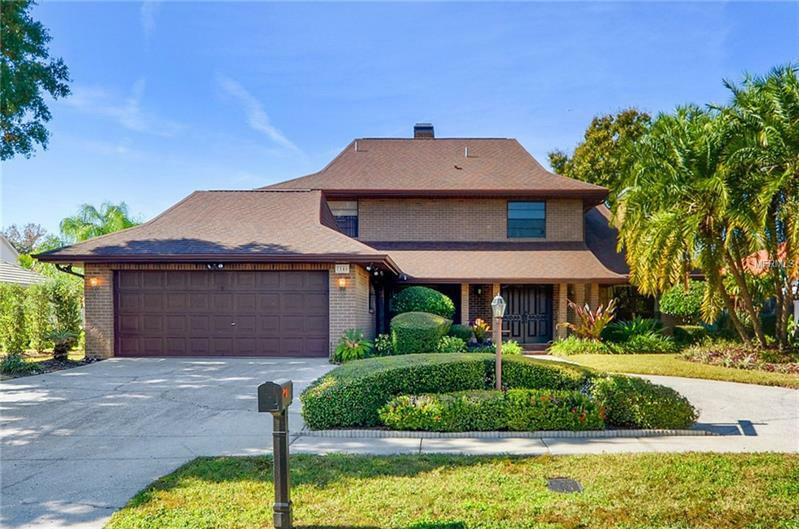 PELICAN ISLAND is a tranquil, gated waterfront community - centrally located and only minutes from TIA, Westshore, Berkeley Prep, Downtown and the Veterans Expressway. Head across the street for a round of GOLF at Rocky Point or WALK/BIKE/RUN to the Courtney Campbell pedestrian trail!